Apply petroleum jelly to face in area where mask will be. Cut two plaster strips, wet them in the water, and place in a “X” pattern across your face, covering the bridge of your nose. Continue to apply more plaster strips to your face in the shape of the desired mask. Make sure the mask is at least 3 layers thick. Allow mask to dry on face and remove, allowing it extra time to dry and become hard. Attach chopstick to edge of the mask with glue and cover with extra plaster strips. Sand the mask until smooth and apply desired paint. Glue peacock feather to the edge of the mask and you are ready to party! If you feel like getting extra crafty, you can add on extra pieces to the mask using the plaster strips, such as spikes or animal ears. 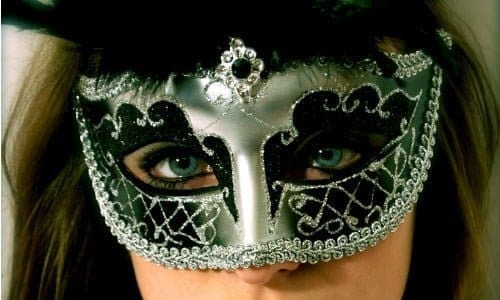 Either way, enjoy your new custom masquerade mask that is sure to be a hit at any party you go to!